Valentines has traditionally been Heart Shaped red boxes. 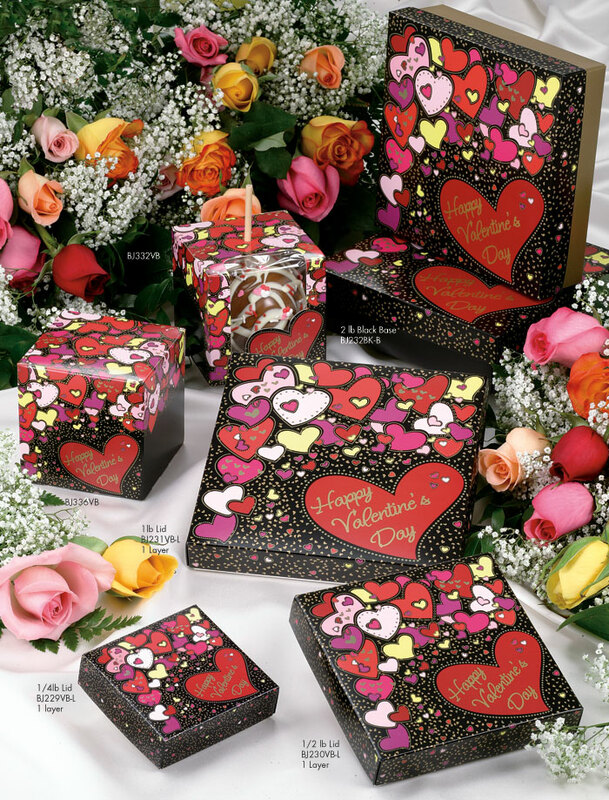 High price and long deliveries are the stigma that straps many candy companies who want to capitalize on a very profitable season. 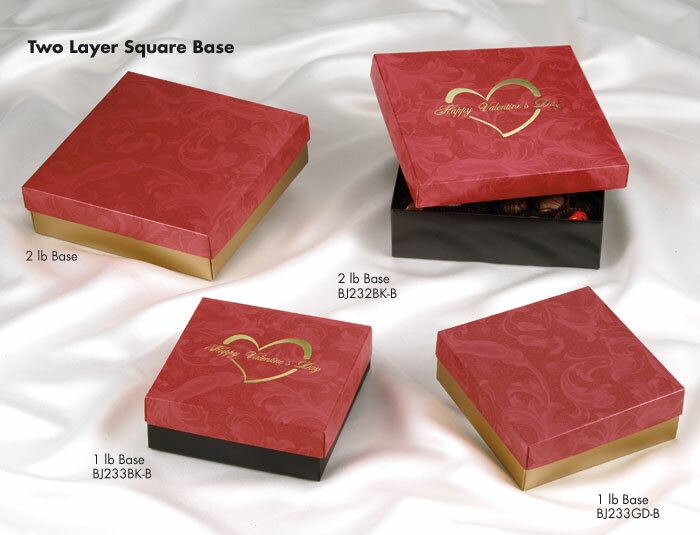 Impress Packaging has what you need. 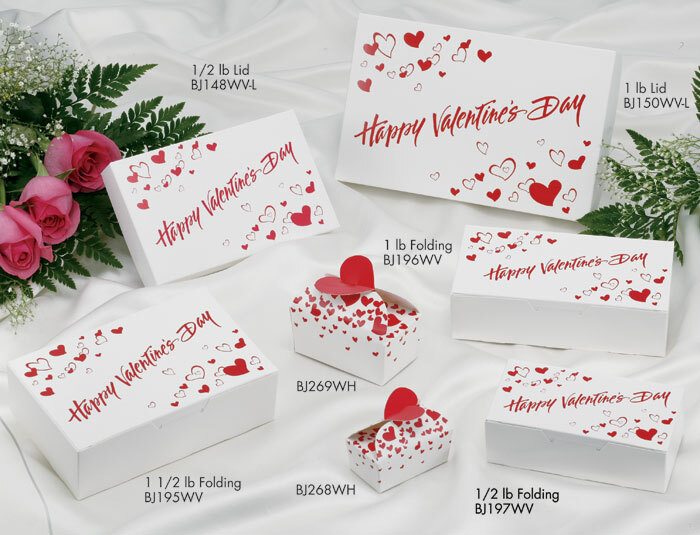 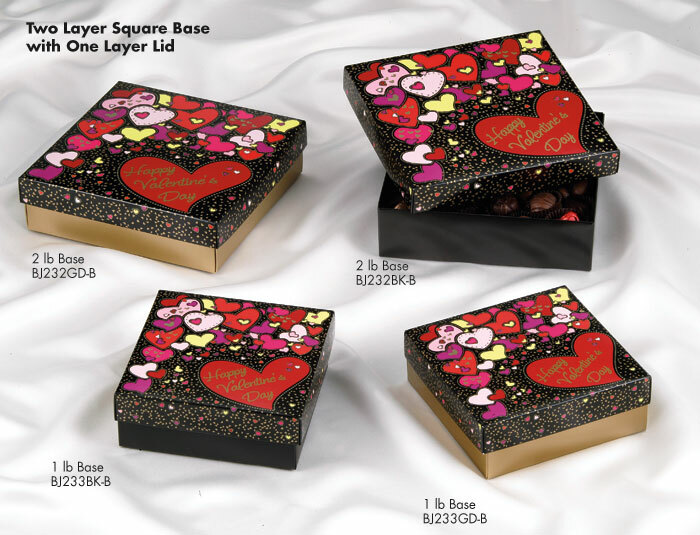 Manufactured in the USA, we stock a very impressive selection of Valentine identified packaging all year long. So order when you want and get the very best when you need it! 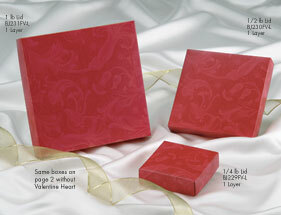 Impress Packaging is very excited to present a great new packaging solution. 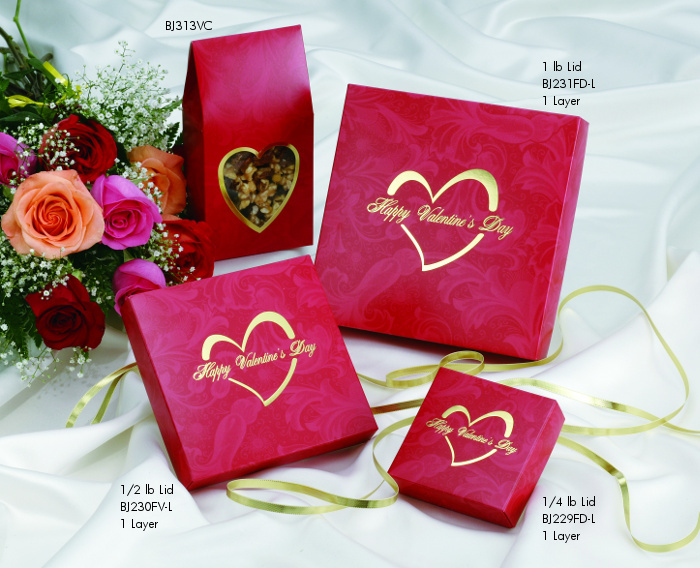 This special design by Impress Packaging called "Gift Case" allows your standard box to fit right inside! All you have to do is slide in your pre-packaged half pound or one pound box. With a quick lock of the heart clasp, you have an attractive Valentine "Gift Case" without the expense or inconvenience of the conventional heart-shaped boxes. 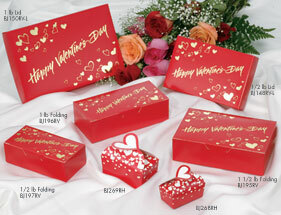 The gift case fits our standard folding box as well as other folding boxes in the industry.